How Do Innovative Skylights Lead to Lower Bills? Solatube's ingenious Daylighting Systems bring natural light into even the hardest-to-reach rooms, helping homeowners cut down on lighting costs while enhancing their interior spaces. There’s been a lot of talk about light bulbs over the past few years. In 2012, after the new federal light bulb standards started to take effect, we all began to encounter a range of new options in the aisles of local home centers and hardware stores. Certainly, when compared with traditional incandescent bulbs, the latest CFLs and LEDs are substantially more efficient. But when it comes to operating costs, even the most advanced light bulb cannot compete with an age-old natural resource—sunlight. Budget-minded homeowners are realizing that in order to keep their lighting costs to an absolute minimum, there’s no better strategy than to forgo electric light altogether, at least during the day. With beautiful, abundant, and totally free sunshine pouring down on the roof every day, making the most of this light is only a matter of letting it inside. Skylights have long offered an efficient way of pulling in sunlight, but installing a skylight used to be a major undertaking with a steep price tag. In the case of traditional skylights, installation remains cost-prohibitive for many homeowners, as the intensive work typically requires some not-so-minor structural modifications. As well, traditional skylights have always been limited in at least one key respect: They illuminate only those spaces situated directly below the roof. To brighten rooms located elsewhere in the house, homeowners have needed to continue using (and paying for) electric light. Fortunately, for those seeking to capitalize on sunlight as a way of lowering household energy bills, there’s a newer, next-generation option that’s both more affordable and more versatile—tubular daylighting devices from innovative manufacturers like Solatube International, Inc. Whereas traditional skylights are basically windows on the roof, the Solatube Daylighting System works in a very different way. First, its leak-proof, impact-resistant, and self-cleaning optical dome harvests sunlight on the roof (even when the rays arrive at an angle, as they do in winter). Next, the sunlight travels down into the home through highly reflective tubing that not only extends to distances up to 40 feet, but also pivots easily around would-be obstructions like rafters and joists. In this way, thanks to their unique design, Solatube systems can deliver sunlight virtually anywhere in the home, even to first-floor bathrooms, hallways, and closets. Best of all, installation takes hours, not days, because the system requires neither changes to the house framing nor repairs to the ceiling or walls indoors. Up until fairly recently, most people viewed skylights as luxuries—attractive and desirable, perhaps, but luxuries all the same. 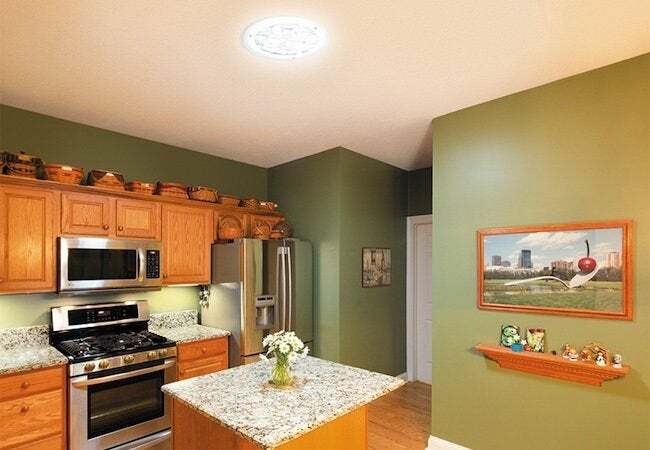 With the rise of Solatube and other makers of similar products, plenty of homeowners now see the practical, money-saving potential of daylighting. You probably don’t think twice about turning on a table lamp, wall sconce, or ceiling-mounted fixture, but the fact is that lighting your home has a considerable, often overlooked effect on your family finances. Last year, the U.S. Energy Information Administration estimated that lighting accounts for approximately 14 percent of residential electricity consumption. With the one-time installation of a Solatube Daylighting System, you can cut out the cost of electrical lighting during every sunny hour of every single day. The savings add up! Another important factor to consider: With Solatube, you’re not saving money on lighting only to lose money on heating and cooling your home. For years, traditional skylights were plagued by flaws that allowed heat gain in summer and heat loss in winter. Solatube sidesteps those issues with products that have been designed and manufactured for optimal thermal performance. Indeed, select Solatube systems are rated by Energy Star for their ability to deliver daylight without upsetting the temperature of the home. Compared with a fixture that generates an equivalent amount of light, a Solatube device actually generates less heat. So, on top of saving you money on lighting, this one solution can also save you money on air conditioning throughout the summer months. 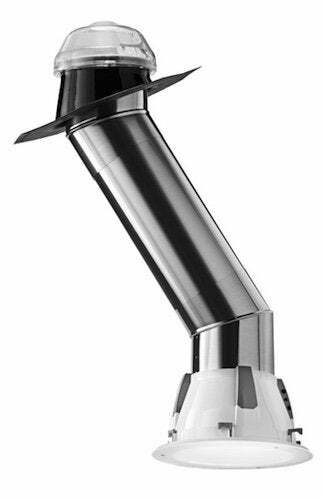 A host of customization options and add-ons are available across the Solatube line of products. For instance, there’s an optional Daylight Dimmer that enables you to control the brightness of the incoming sunlight. You can also choose from a variety of warming and softening Effect Lenses to modulate the color temperature of the light so that it suits your personal preferences or matches up with your interior design goals. It’s also well worth mentioning that if you’re hesitant to clutter your ceiling with multiple fixtures, Solatube makes it easy to streamline. The optional Light Kit embeds an incandescent or CFL bulb within the light-channeling tube, giving you a multifunctional fixture that responds to your around-the-clock lighting needs. If you’re really serious about cutting your lighting costs, check out the Solatube Smart LED. 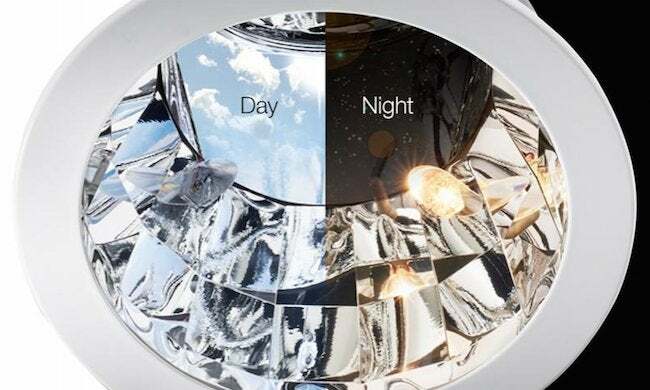 Compared with a traditional light source, the Smart LED offers up to 94 percent greater efficiency: During the day, when the device operates in daylighting mode, you’re spending $0. When light levels recede—at night or in the presence of cloud cover—the system automatically switches over to LED, a technology that runs on dramatically less energy than incandescent bulbs. Combine free sunlight with high-efficiency, low-cost LED lighting, and you’re paying next to nothing for the illumination supplied by a one-of-a-kind hybrid solution. Want your Smart LED to save you even more? Go for the optional occupancy sensor. Depending on whether or not the sensor detects someone in the room, it activates or deactivates the integrated LED bulbs accordingly. That way, you never waste electricity. You pay only for the LED lighting you actually need and use. The occupancy sensor option doesn’t just mean savings, though—it also means the convenience of never having to remember to hit the light switch on your way out! In the end, there are many ways to slim down your household energy bills. But of all the improvements you might make in the name of efficiency, only Solatube stands to leave your home looking brighter, feeling airier, and seeming more cheerful. You’re saving money and making your home more beautiful. It’s a win-win. This post has been brought to you by Solatube. Its facts and opinions are those of BobVila.com.